-panorama to the CS:GO launch options. – HUD Money panel now has a background like the health and ammo and is also controllable with cl_hud_background_alpha. – Fixed the HUD chat lines not lining up with each other in certain resolutions/scales. – Updated the look of crosshair style 0 and 1 to more closely match the scaleform version. – Panorama crosshair style 0 and 1 now no longer scale when changing resolution. – Added buttons to the scoreboard to allow users to toggle caster features. – Custom team logos now work again using png extension and can be placed in the new team image location or the old (flash) location. – Fixed ADR not filtering out team damage. – Fixed Overwatch suspect not being highlighted in scoreboard. -Adjusted player collision on bench wall at bombsite B. – Updated the BSP embedded radar map image to the new version. – Increased brightness and adjusted the vignetting on the map loading screen image. 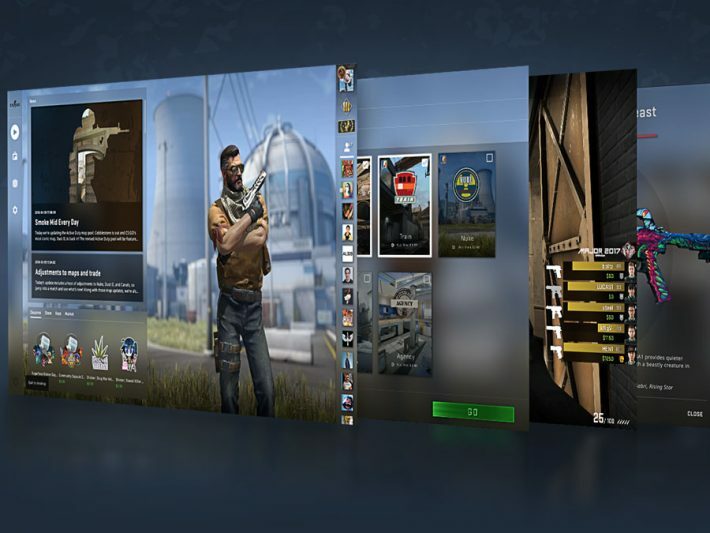 CSGO BETA Update: Panorama UI on kohal!! !